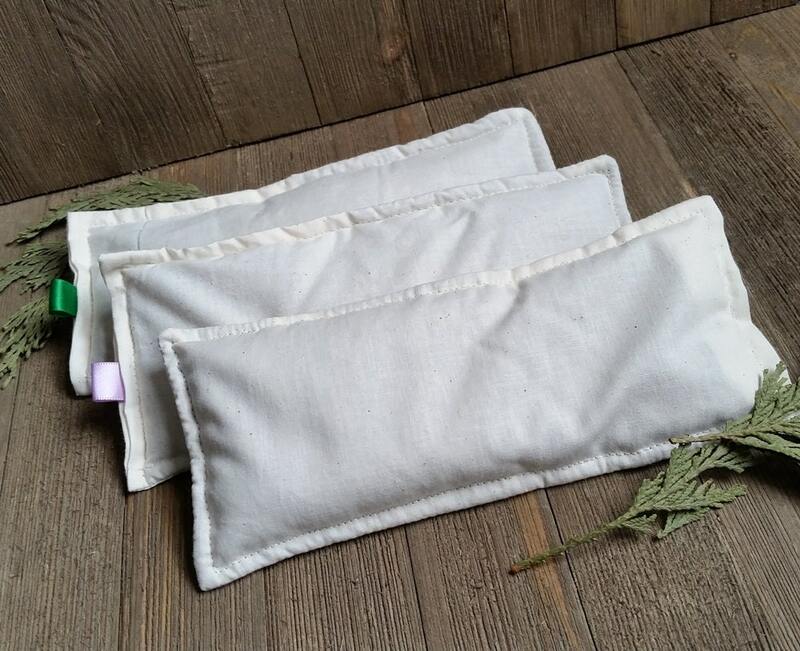 This soothing eye pillow is handcrafted and comes with your choice of insert filled with high quality all natural flax seed and organic dried lavender and/or peppermint. Flax seeds have a lovely drape and contour to your body. 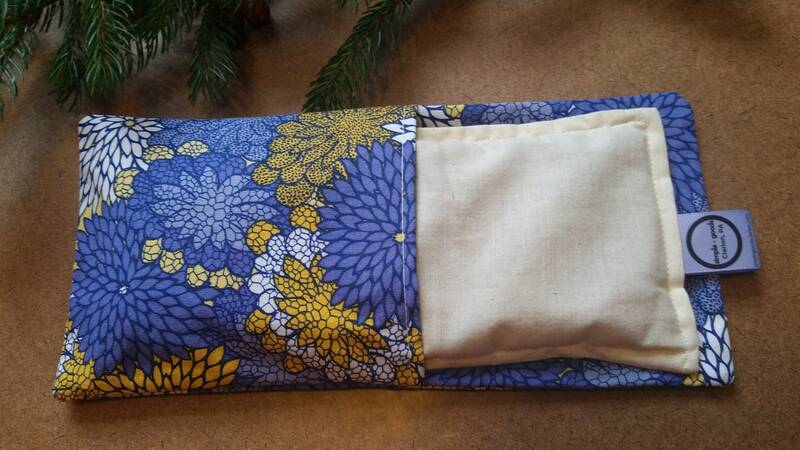 The pillow is great for easing headaches, for relaxation, and can even be used as a small compress on your neck, hands or feet for relieving muscle tension. If you are prone to migraines, this is great to block out the light and the Lavender Mint insert will soothe headache pain. Also perfect for use at the end of your yoga practice during savasana. 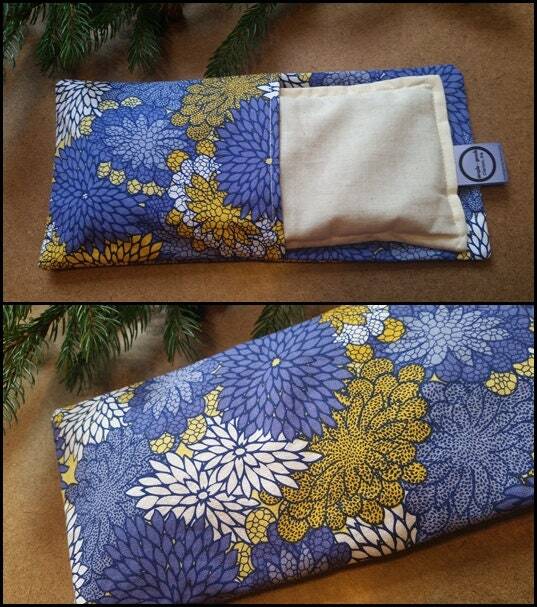 Can be used as a warm or cold compress- simply heat in the microwave or cool in the freezer. Hand wash the removable cover to keep your pillow fresh and clean! 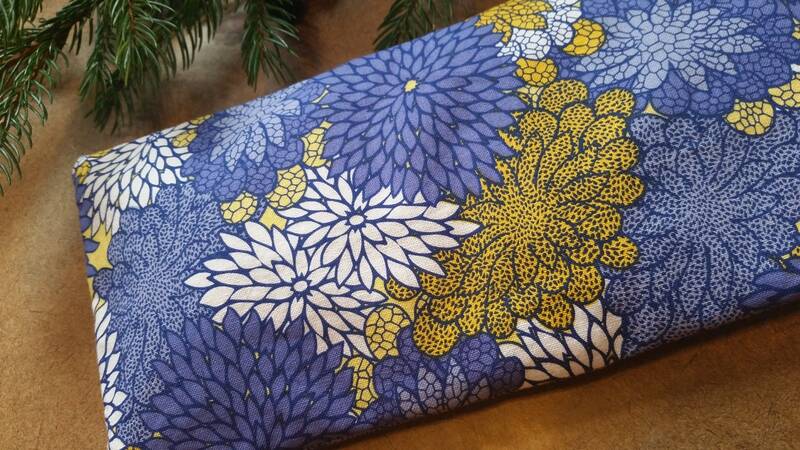 This cover is a blue and yellow floral print and comes with your choice of insert. ~Size: Approximately 9.75" x 4" x .5"